South Korea’s Government Employees Pension Service (GEPS) has selected Daishin Asset Management and Shinhan BNP Paribas Asset Management as general partners for its fresh investment of a combined $180 million in global stock and bond funds, respectively, the pension fund said on August 8. Last month, GEPS invited bids for a 100 billion won ($90 million) mandate for global equity fund of funds (FoF) and another 100 billion won for global bond FoF. After quantitative assessments, Shinhan BNP, a joint venture between Shinhan Financial Group and BNP Paribas and Franklin Templeton Investments were shortlisted for the bond mandate, according to a notice posted on the GEPS’ website last week. For the stock FoF management, KB Asset Management, a sister company of South Korea’s biggest lender Kookmin Bank, also made it to the shortlist, along with Daishin Asset, wholly owned by a domestic brokerage firm. GEPS did not provide further details on the results, other than the names of the selected general partners posted on its website. Separately, GEPS Chief Investment Officer Young-gwon Choi has recently renewed his contract with the pension fund for another one year after his two-year term ended in mid-July, online news outlet eDaily reported, citing unnamed investment banking sources. 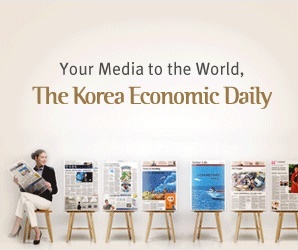 Choi had said in an interview with a cable TV news channel of the Korea Economic Daily in July that the pension fund is making its foray into a variety of new asset classes, chasing mid-risks mid-returns. Also, GEPS, with $6 billion of assets under management, will put excess cash equivalent to three-month benefit payments or more into mid to long-term investment in an effort to diversity the maturity structure of its investment products in line with cash flows, the country’s finance ministry said in a statement released late in July.